KNOW the location of the nearest telephone. If there is a medical emergency, have someone CALL 911 while you remain at the scene. NOTIFY campus provost once emergency personnel or campus police have arrived and the immediate crisis is being managed. Report all pertinent information and facts: WHO, WHAT, WHEN, WHERE and HOW. At this point, the campus provost will manage the information flow. Please treat the incident confidentially. College personnel must NEVER TRANSPORT individuals. 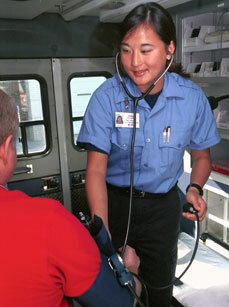 You may assist in securing transportation via emergency vehicle or family/friend of injured/ill person. Visit Collin College Police Department for more information.